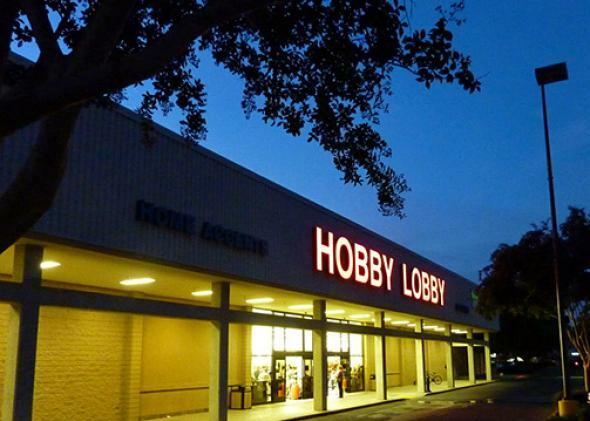 Hobby Lobby and religious freedom: Will the company lose in state court? Can the states force companies to cover birth control for their employees? Just because Hobby Lobby won at the Supreme Court doesn’t mean it will win in state court. In the three weeks since the Supreme Court’s Hobby Lobby decision, the main congressional response has already sputtered in the Senate. Reproductive rights advocates are now doing what so many have done in this age of national legislative impasse: turning to the states. The court’s decision allowed companies with religious objections to certain forms of contraception to drop birth control coverage from their employees’ health plans, creating exceptions to Obamacare. On Thursday, New York state lawmakers announced a bill requiring employers to give notice before ending this coverage. And earlier last week, Sen. Richard Blumenthal of Connecticut issued a letter to Hobby Lobby calling on the company to provide health plans covering contraception for its employees in Connecticut stores. That’s what state law appears to require. Hobby Lobby and other companies like it will actually run into laws like Connecticut’s in 28 states. These states already require full contraceptive coverage on their own, independent of Obamacare. And in the months to come, legislators like New York’s may tap into the popular approval for contraception coverage to come up with new ways to prevent companies from taking advantage of the window Hobby Lobby opened. But countermanding the Hobby Lobby decision at the state level won’t be as straightforward as all of this may sound. There’s a hurdle: state laws that protect religious freedom. These are mini-versions of the federal statute that Hobby Lobby rode to victory last month. More than half the states also have this kind of law, or a court ruling to the same effect. As a result, reproductive health advocates looking to the states to fix Hobby Lobby may find themselves back in court, with a feeling of déjà vu. Here’s the background on religious freedom laws. Congress passed the first one, the Religious Freedom Restoration Act, or RFRA, in the wake of the Supreme Court’s 1990 ruling in Employment Division v. Smith. In Smith, the court held that “neutral, generally applicable” laws don’t infringe on people’s religious freedom, allowing Oregon’s drug laws to apply to Native Americans who used peyote as part of a religious ritual. Congress didn’t like this decision. The RFRA supplanted Smith by applying a strict test even to neutral, generally applicable laws when they “substantially burden” religious practice. This is how Hobby Lobby won in last month’s decision—the Supreme Court determined that the Affordable Care Act’s contraception mandate was a “substantial burden” on the company because of the religious beliefs of its owners. After the RFRA was passed, the court held (in City of Boerne v. Flores) that Congress couldn’t make it apply to state laws. In the following three years, 10 states passed their own RFRAs, which provided similar grounds to challenge general laws that burden religious practice. In another bunch of states, court decisions interpreted the religious freedom clauses in state constitutions in the same, religion-friendly manner. Both developments continued into the 2000s, and today such laws and court decisions exist in most states—many of which also have contraceptive coverage mandates on the books. OK, so what does that mean for Blumenthal’s assertion that Hobby Lobby has to provide contraceptive coverage to its employees in Connecticut? It means that if Connecticut backs this up, Hobby Lobby will almost certainly sue. The outcome is harder to predict. For several reasons, these state-by-state cases are difficult to call. First, there haven’t been very many cases under these state laws—one 2010 study found two or fewer reported cases in 10 states. That means judges will be writing on a largely blank slate. What’s more, the results in court so far have sometimes been unexpected. In Connecticut, for instance, the state’s religious freedom act has even broader language than the federal law, yet Connecticut’s state courts have interpreted it as not giving people a pass on generally applicable laws when they claim their religious freedom so demands. That’s good news for Blumenthal; it also illustrates the difficulty in anticipating the outcomes of cases just by reading the relevant statutes. And the Supreme Court’s Hobby Lobby decision could change the mix by pushing state courts toward allowing more claims like Hobby Lobby’s to succeed. While state court judges aren’t bound by the decision, they still might find its reasoning persuasive—particularly since many of these state statutes were written specifically to mirror the law at issue in Hobby Lobby. State religious freedom laws aren’t the only barriers to imposing state mandates for contraceptive coverage on employers with religious objections to them. Companies have been able to avoid these requirements in some states by self-insuring their prescription drug coverage, or by creating benefits plans regulated by the federal Employee Retirement Income Security Act, which some courts have held lets companies out of covering birth control, despite state law.